See conference room details when booking a room. G Suite admins can now enter detailed information about their organization’s meeting rooms—so employees know where a conference room is located, how large it is, and whether it has audio/video equipment or is wheelchair accessible. 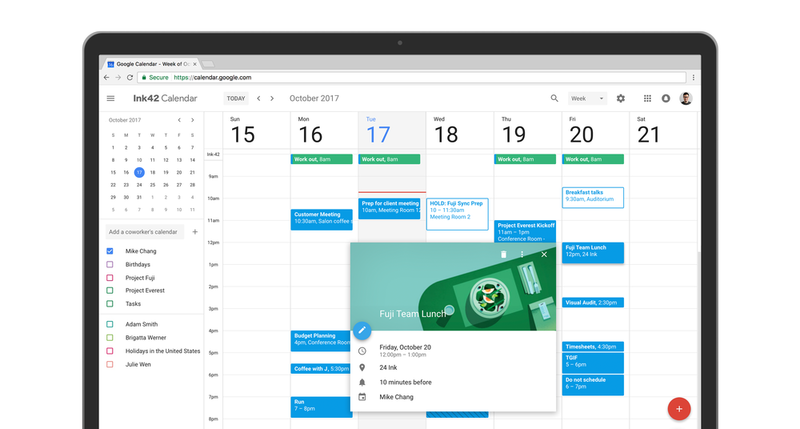 Employees can simply hover over the room name in Calendar when they want to book a space, and a hovercard will pop up with details about the conference location and resources. There are a number of other changes in Calendar, too. Now you can see contact information of meeting participants when you hover over their names in a Calendar invite. There’s also a new way to view and restore deleted items in one place in case you accidentally delete a meeting. Additionally, “Day,” “Week,” and “Month” views are now more accessible, featuring better compatibility with screen readers. For more detail on changes, check out this post. 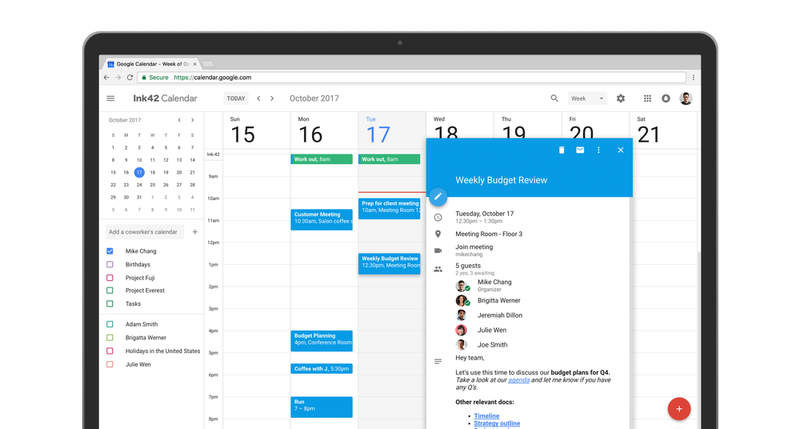 These new changes in Calendar can help your teams better manage their time, and G Suite admins can enable these new updates starting today. Read this post for more information on rollout options. And if you use Calendar for personal use, click “Use new Calendar” in the upper righthand corner of the main Calendar view to get started.